The standard RO-MIL range of DC-DC Converter modules are designed for aviation, defence and other challenging applications. All are available either encapsulated or hermetically sealed, filtered or unfiltered. All units are unconditionally stable and do not require any additional components for correct operation. Many of the standard modules have 15/16-40V input ranges. There is also an option of wider 9-40V inputs. In addition to those listed above, we can produce modified standard versions of any of the RO-MIL range with alternative input ranges, output voltages, or current limit points. 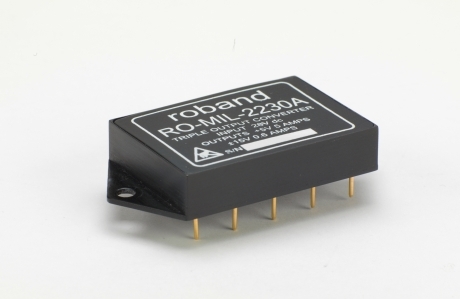 As with all Roband products, the RO-MIL series is fully manufactured on site in the UK. RO-MIL-2200 is a high reliability, high efficiency, non-isolated Point of Load (PoL) regulator designed specifically for defence and aviation applications. It is designed for conduction cooling and operates to 125°C without the need for any derating. RO-MIL-2201 is a voltage controlled high voltage variable output regulator. Its compact size is achieved by applying innovative packaging techniques proven in our many avionic programmes. This device is ideal for high voltage biasing requirements. 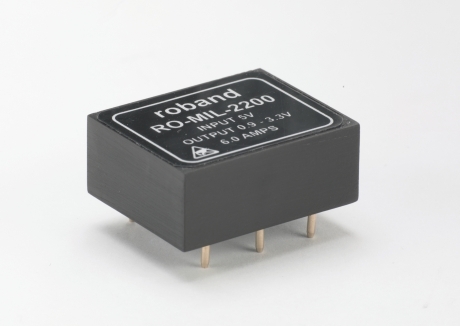 The RO-MIL-2210 is a 270V input DC-DC converter designed specifically for defence and aviation applications. It produces an isolated 28V at 70W from a wide input voltage range of 160 to 400V. 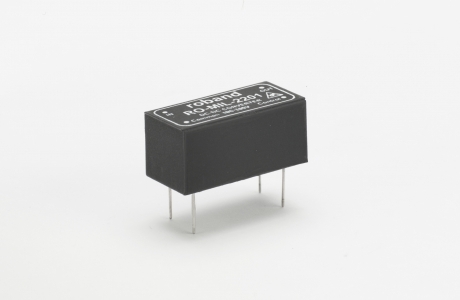 The RO-MIL-2211 is a 50W DC-DC converter designed specifically for avionic & defence applications to withstand high levels of shock and vibration. It also features remote enable. 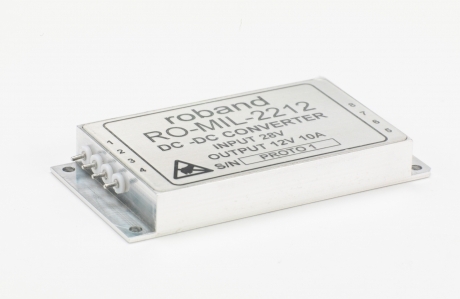 RO-MIL-2212 is a 120W DC-DC converter designed specifically for avionic & defence applications to withstand high levels of shock and vibration. This high efficiency converter also features disable and remote sense on the outputs. RO-MIL-2213 is a low voltage 100W DC-DC converter designed specifically for avionic & defence applications to withstand high levels of shock and vibration. This high efficiency converter also features disable and remote sense on the outputs. 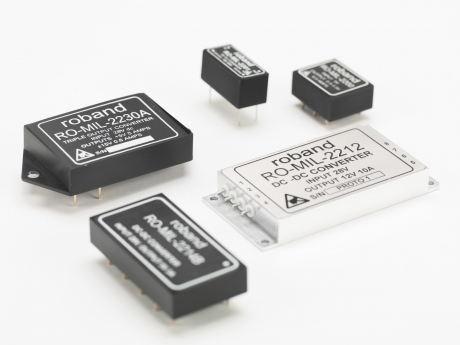 RO-MIL-2214 is a 15W DC-DC converter designed specifically for avionic & defence applications to withstand high levels of shock and vibration. This high efficiency converter features remote disable and an external synchronisation input. 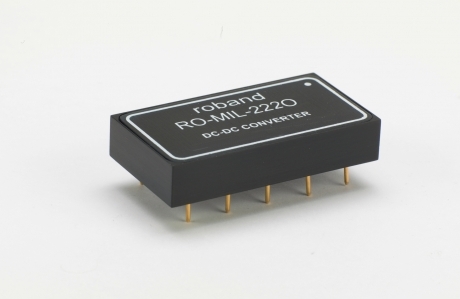 RO-MIL-2220 is a 15W dual output DC-DC converter designed specifically for avionic & defence applications to withstand high levels of shock and vibration. This high efficiency dual output converter features independent regulated outputs, eliminating load balancing/minimum load/cross regulation issues. 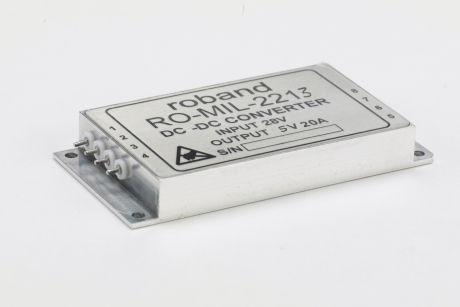 RO-MIL-2230 is a 40W triple output DC-DC converter designed specifically for avionic & defence applications to withstand high levels of shock and vibration. Uniquely if features linear regulated auxiliary outputs, eliminating load balancing/minimum load/cross regulation issues.